As a leading provider of Physical therapy, Occupational therapy and Speech therapy services, Rehab Synergies is always looking for talented professionals to join our ever-growing team. Whether you’re part-time, full time, PRN or a member of our support staff, you will contribute to patient success stories. Learn more about our workplace culture and the benefits that come with becoming an employee with Rehab Synergies. Check out the job openings for your chance to join Rehab Synergies’ continuously-growing team at locations throughout Texas. 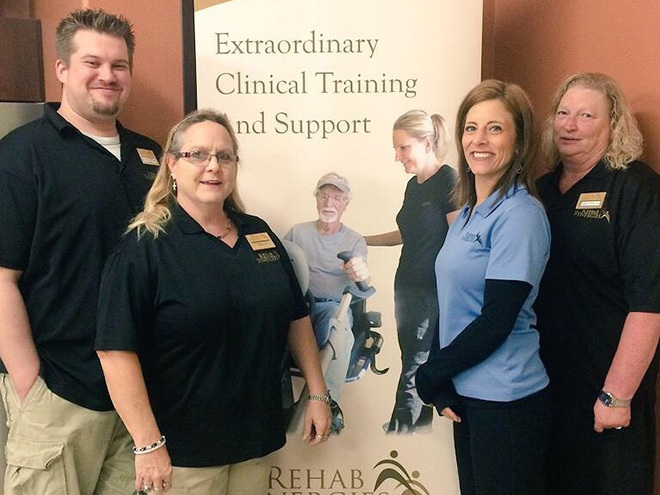 Learn more about the on-going training Rehab Synergies’ staff receive to continue to provide patients with the best possible care.